The APH 6530 worked on the truck lane, which had to be continuously resurfaced during construction work. The two mounds known as the Pirmin Hills situated in the Ortenau district in the heart of the town of Sasbach, Switzerland, needed to be levelled to create space for a new supermarket. Four multi-family dwellings and an underground garage will be constructed in parallel in the direct vicinity of the supermarket. All in all, around 50,000 cubic meters of material had to be moved as the site had a significant incline and needed to be levelled for construction work. 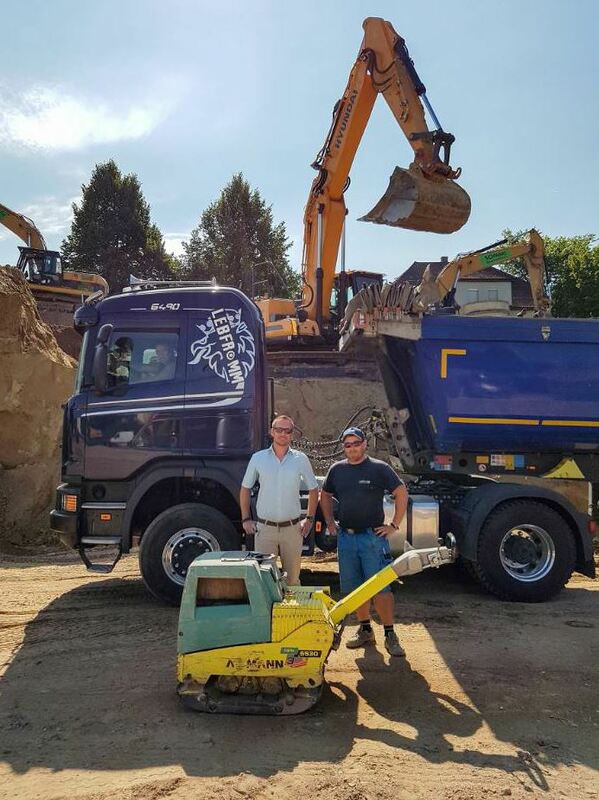 Matthias Pfaff and Contractor Thorsten Lebfromm discussed the usefulness of the vibratory plate on the ever-changing substrate. 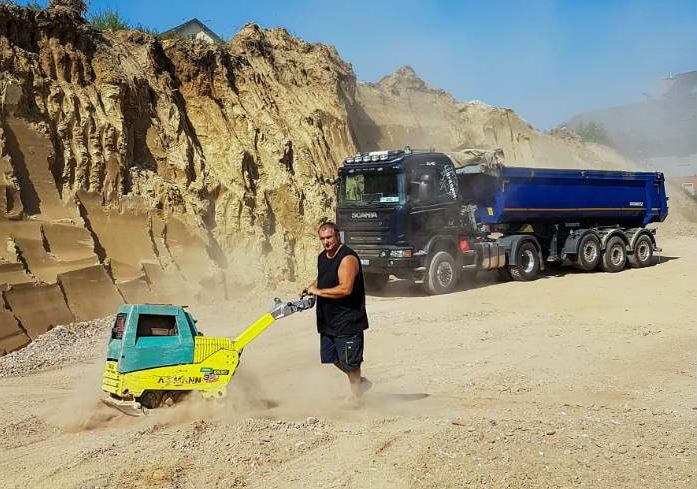 One of the challenges facing general contractor Thorsten Lebfromm was to ensure that trucks could continuously enter and exit the site safely and easily, despite a substrate composed of clay-based topsoil. The job was assigned to an Ammann APH 6530 Hydrostatic Compactor with its unique, triple-shaft exciter system. Once the topsoil had been removed, the substrate needed to be continuously compacted to provide a load-bearing surface for the trucks. Lebfromm’s workforce then installed and compacted a 30-centimeter layer of recycled material. This work was followed by the installation and compaction of an asphalt layer. The vibratory plate was able to use its full potential due to the ever-changing substrate and proved that even different surface types are no challenge for the APH 6530.